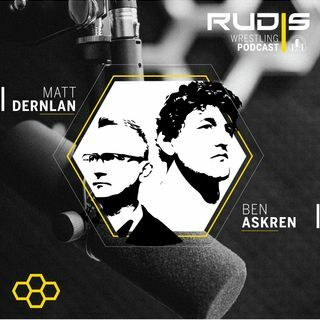 Ben Askren and Matt Dernlan jump right into breaking down the Big Ten Wrestling Championships. One of the biggest matchups in the tournament went down in the quarterfinals Luke Pletcher beating Roman Bravo-Young 8-5. The biggest story out of this bracket was the No. 8 seed Chad Red beating the No. 1 seed Michael Carr and then Kanen Storr to get to the finals. No. 1 and No. 2 faced off in the finals with Anthony Ashnault beating Micah ... See More Jordan 8-6. Dernlan was impressed with Alec Pantaleo all weekend and surprised by Ryan Deakin's performance. Another 1 vs 2 championship matchup went down at 165 lbs. Bo Nickal won 10-3 over Kollin Moore. Props are given to Youssif Hemida for going through the gauntlet wrestling six matches to take 3rd.